The MacPhail’s Collection is a small range of single malt whiskies bottled by Gordon & MacPhail. The focus of this collection is the quest for younger, quality drams at affordable prices. You won’t find a rich mature complex aged marvel here, instead a younger, better than decent dram for a reasonable cost. Overall a drinkable dram… much more so than the Highland Park 1998. Light balance between sweet and smoke, coming together so smoothly. Nose: Soft fruits – peaches/mangos, heather/earthy notes and a touch of saltiness. With Water: Fruity (green apples), subtle sherry influence and touch of floral. Palate: Rich, mulled fruits with a touch of smokiness. Finish: Long with a delicate sweetness. 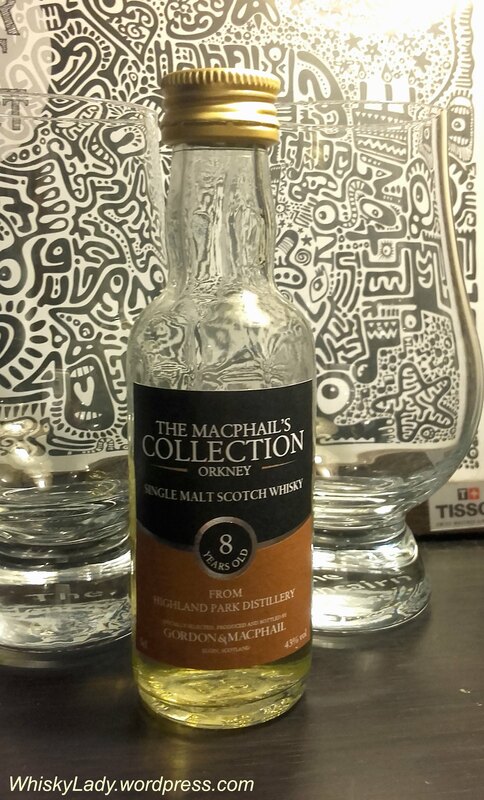 This entry was posted in Highland, Scotland and tagged Gordon & MacPhail, Highland Park, Highland Park 8 year, MacPhail's Collection, MacPhail's Orkney 8 year, Orkney by Carissa Hickling. Bookmark the permalink.